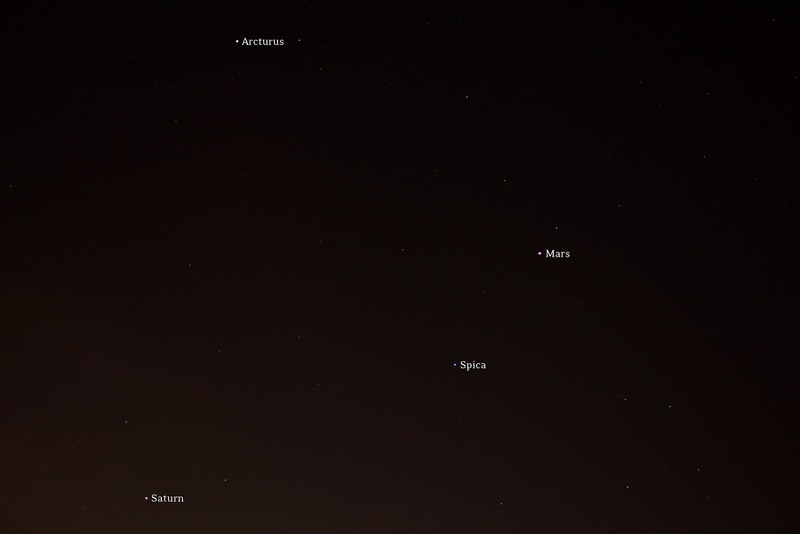 There are some great views to the southern sky this month, with Mars blazing near Spica, and Saturn hanging out in Libra. I also got a chance to see one of my favorite smaller constellations, Corvus the crow - also known as Spica's Spanker because it resembles a type of sail called a spanker, and because two of its stars form excellent pointers for Spica. 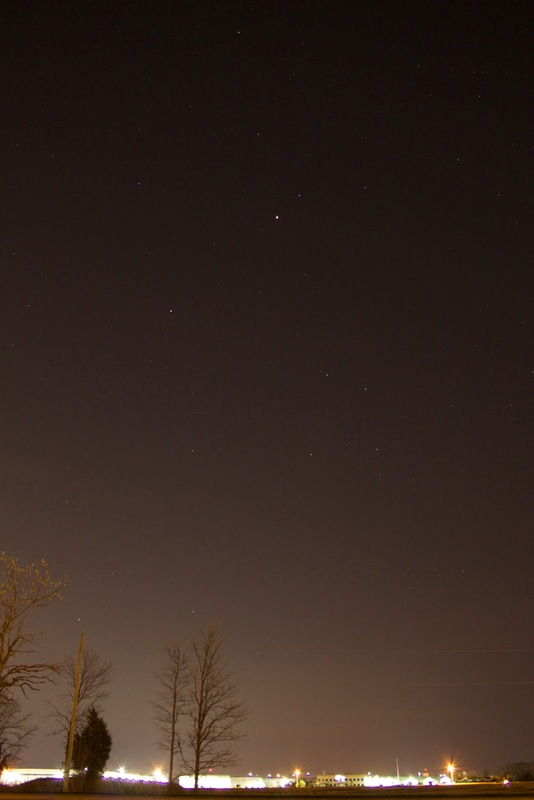 Next, I wanted to see if I could fit Saturn, Mars, Corvus, and Arcturus all in the same frame. At 18mm, my calculated field of view is about 64° horizontal and 45° vertical. 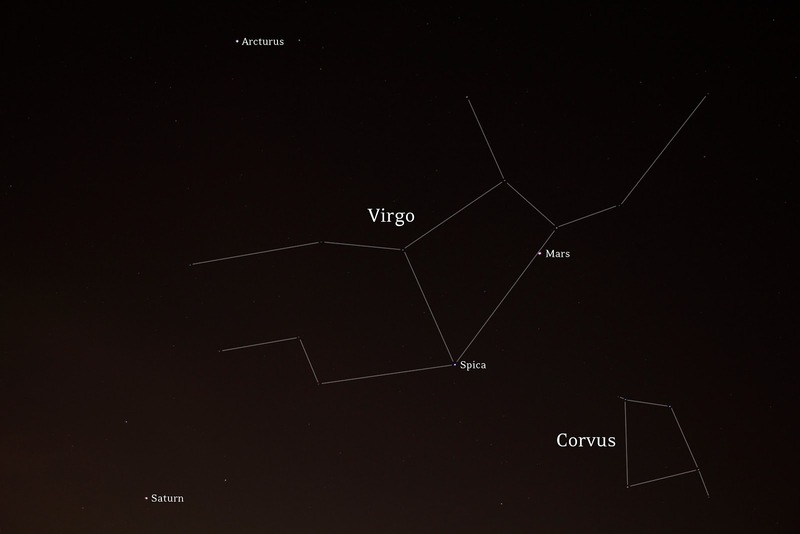 Currently, Arcturus is about 38° from Saturn, Saturn is about 41° from Corvus, and Corvus is about 48° from Arcturus in a big triangle. It looks like it should fit, and it does!